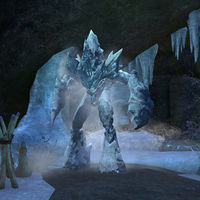 Igudhan is a Frost Atronach that lives in Cold Cave in Vulkwasten. For Everything a Season: Help finish preparation of a famous rotmeth brew. This page was last modified on 21 July 2015, at 21:25.